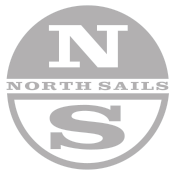 North Sails makes fast and versatile sails for the Capri 14.2 class, manufactured using the most advanced technology and highest quality materials in the industry. Our Capri 14.2 experts are available to help you get the most out of your North Sails product offering sound advice, tuning information and expertise. The North Sails Capri 14.2 mainsail is an all-purpose sail that will perform well in all wind and wave conditions. It's built from an HTP "square weave" cloth. The design of this sail has a very open leech as the small rudder on the Capri tends to stall easily if the sail is over trimmed. The North Capri 14.2 jib is made from HTP "square weave" Dacron that is quite light and yet very strong fabric. The light weight of this sail makes the boat really perform well downwind. This sail is cut to accept a lot of luff sag which is so critical to making the boat go fast!